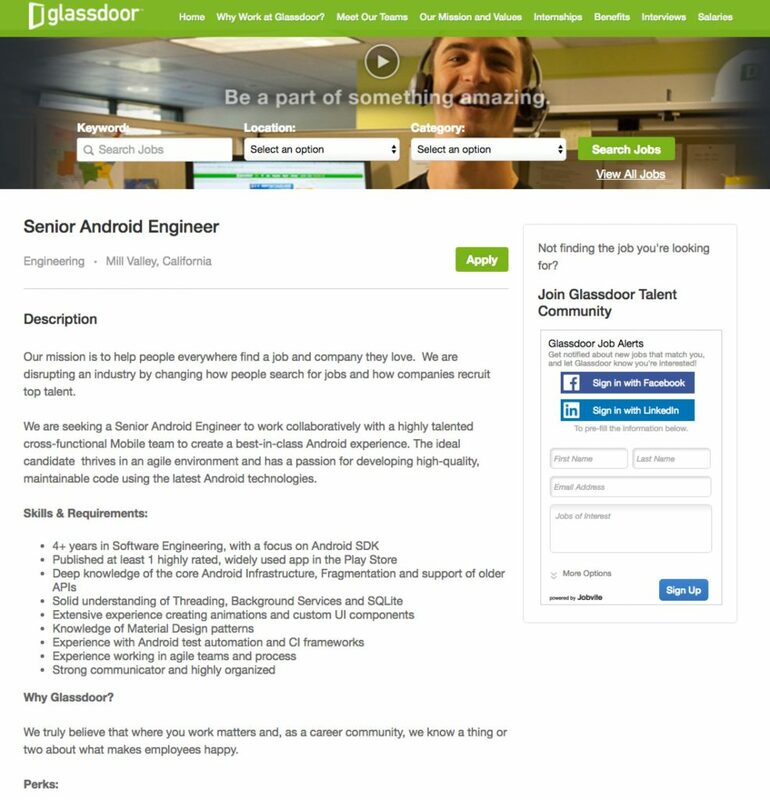 Wow, are you are seeing how fast job descriptions are changing these days? Fasten your seat belts as we look at 10 that are awesome — and the reasons why! 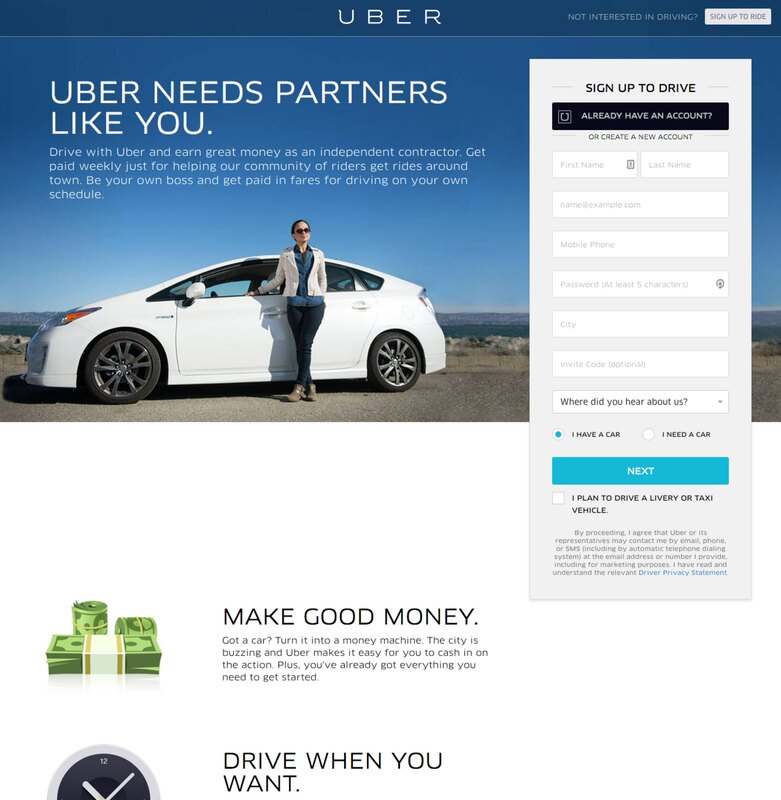 If you’re interested in how cutting edge companies’ job descriptions look these days, look no further than Uber’s job description landing pages to attract drivers (after all, they are doing the largest talent rollout in history). Headline — They are treating the driver role as a “partner”. This reminds me of how Sam Walton referred to all Wal-Mart employees as “associates”. They emphasize in the sub-headline (note: sub-headlines are effective in advertising) that you get to “be your own boss”. Hero Media — Showing an attract millennial with a nice hybrid car. Benefits are Clear — They name 4 clear benefits (money, flexibility, no boss and financing on a new car). 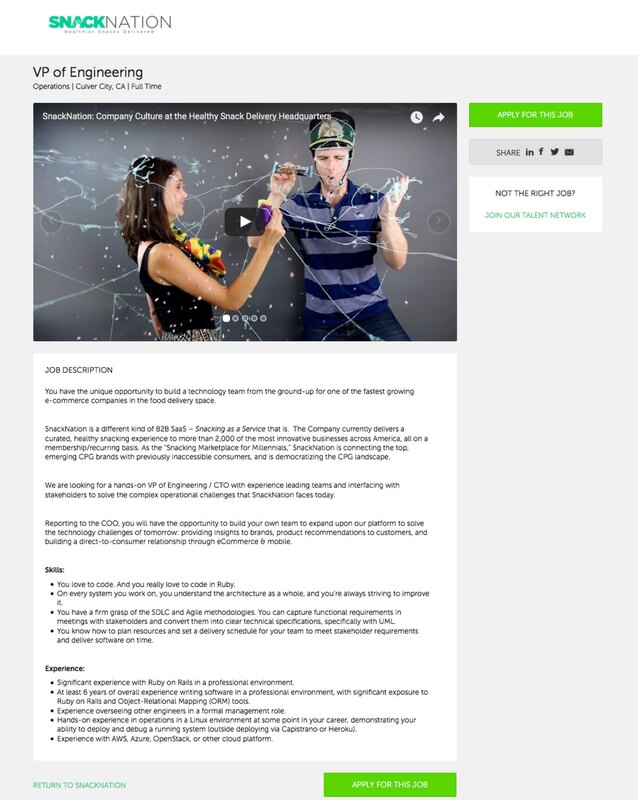 Recruiter Contact Info — They show the name, picture, and social media links of the recruiter for each job. There is even a YouTube video of each recruiter. Millennials and other passive candidates value this level of transparency. 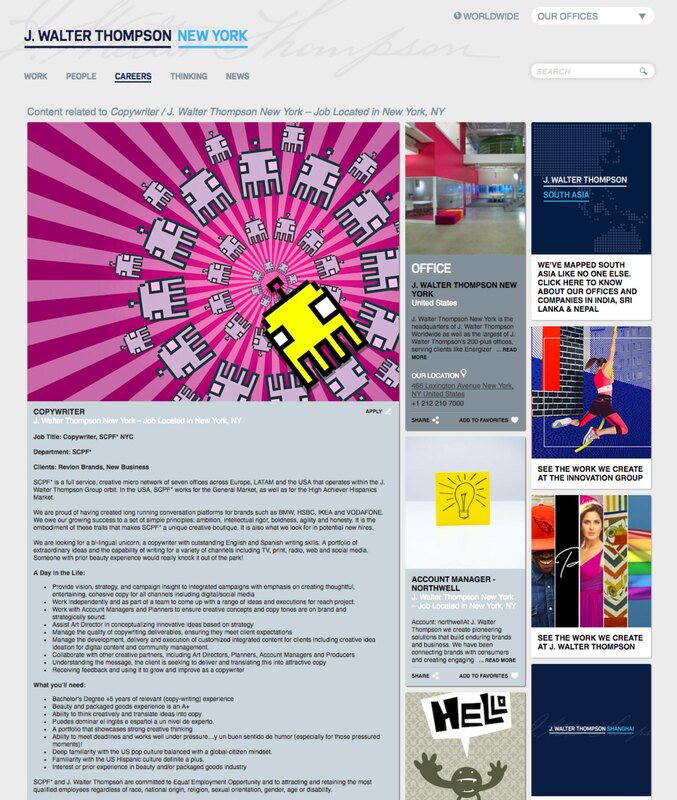 If you have a recruiter owning your job reqs why not show them? Social Proof Badge — They include a Top 100 Employer of choice award badge on every job description. Social proof is effective advertising for you every time. Nearby Restaurants, etc. 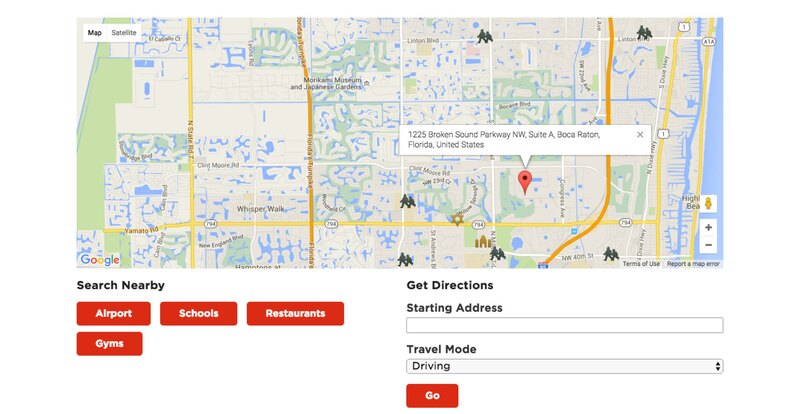 — They have a nifty link to let candidates see nearby restaurants, gyms, schools and airports. Video — A corporate video is on every job description at the top. Branding — They emphasize their company name, logo, and color scheme (see the green Apply button). 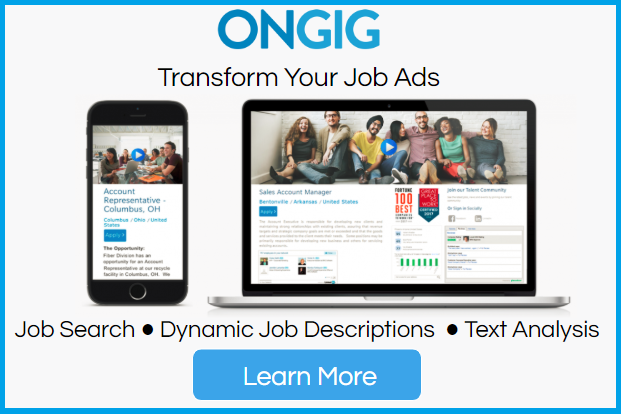 Talent Community — They include a talent community call-to-action (this is the next best thing to a candidate clicking apply). Attention-Grabbing — Their job description is so different from any other job description that it will certainly stop the candidate in their tracks. If you like mental models (I do), this is leveraging the “Law of Contrast” that all of our brains react to. Show something very different and you’re bound to get a little extra look. Office Pics — They include a pic of the office along with a brief description of it. Bonus Content — They include a right-hand rail with some extra tiles linking off to pieces about working at JWT. We include Orange for a few reasons. 3-Column Format — You don’t see that often. 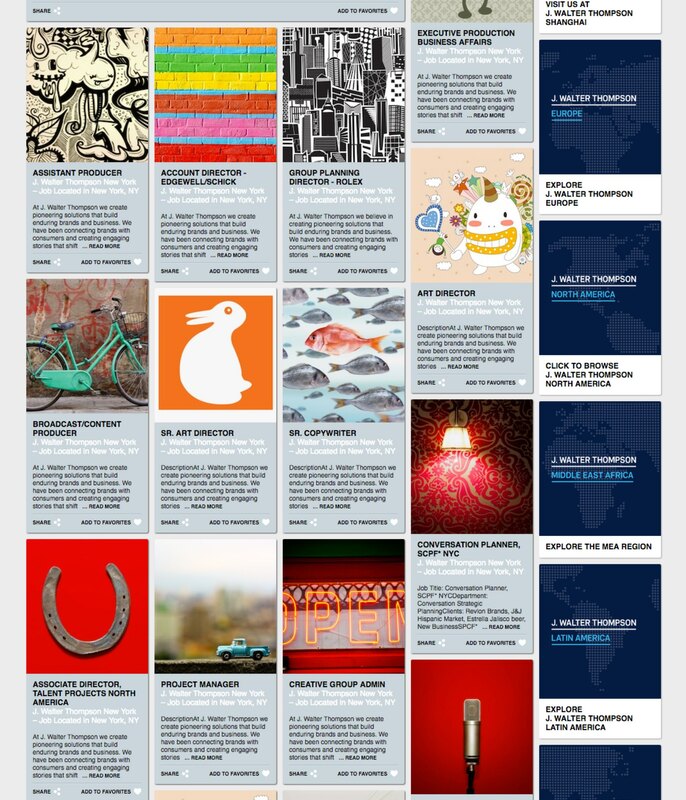 It’s more similar to the layout of a story in a magazine (and doing that in an ad (and a job description is an ad!) is a proven advertising technique. The candidate sub-consciously thinks they are reading an article (not an ad) — that’s good for you. 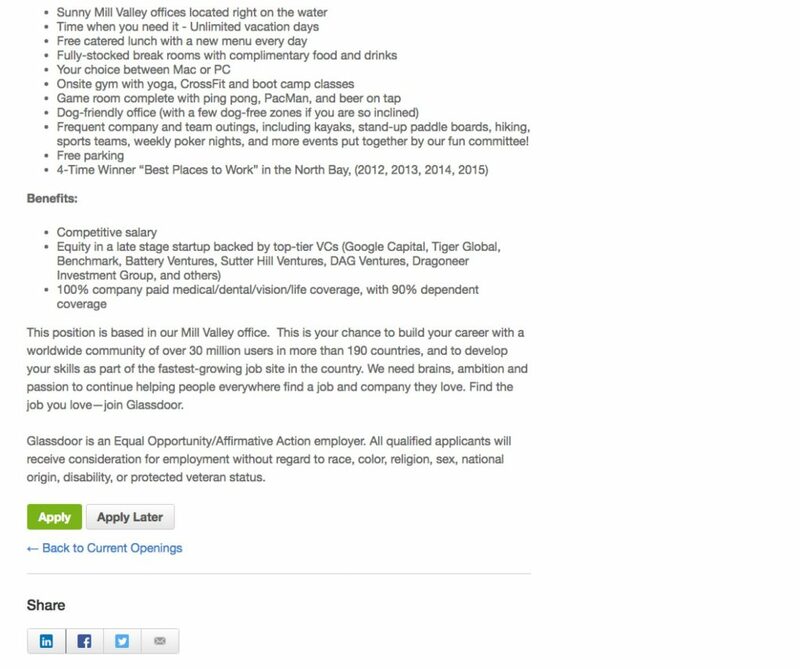 Video — They include a corporate video on every job description. Social Proof — They include employer of choice awards. Branding — The use the orange color of their logo/brand in the section headings and “Apply” button. 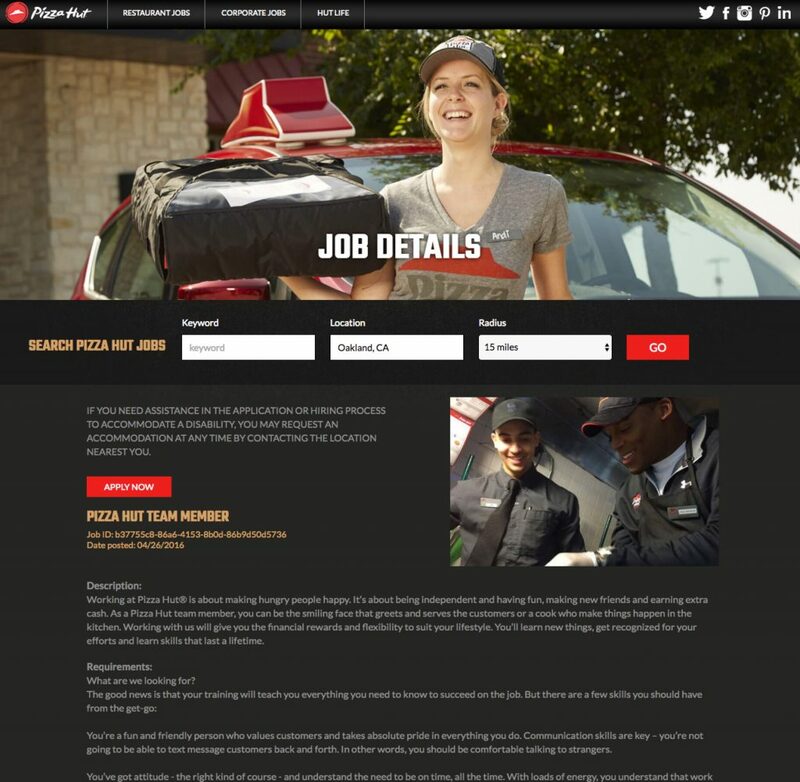 Responsive Design — Notice the second image of the job description below. That’s how it looks when you look at the job description on a tablet (it goes to single column). Attention-Grabbing — They use a black background while most JDs use a white background. This leverages the law of contrast in which the candidate will pause a bit longer just because the whole layout is different (note: a drawback to this approach is that light text on dark background is harder to read than dark text on light background). Hero Media — They use a pic of a Pizza Hut worker (or actress). 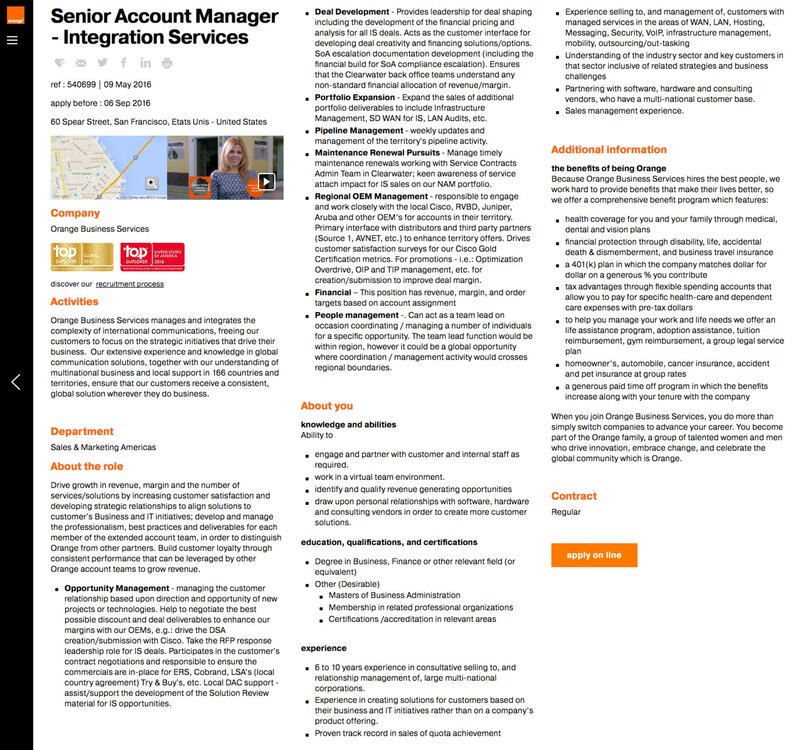 Again, folks, a job description SHOULD be a commercial — it’s an ad! Color Theory — You see a log of red jumping out, don’t you. 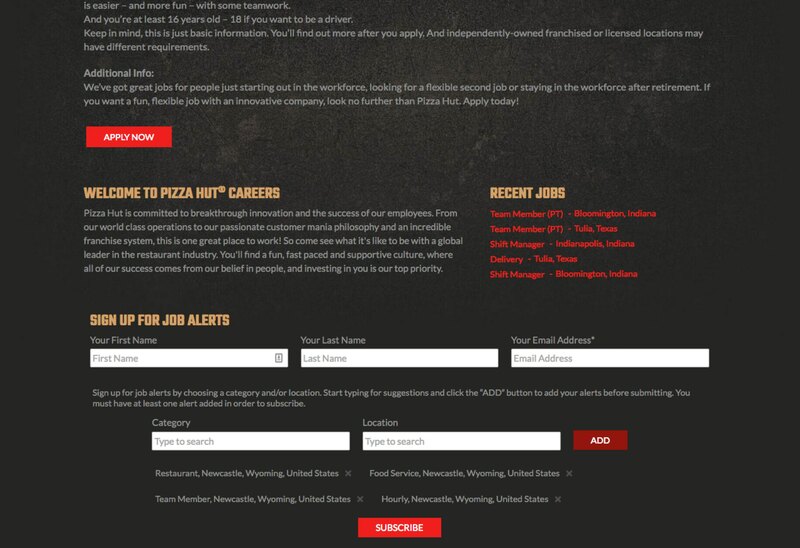 They use the Pizza Hut red in their key calls-to-action such as the job search button and the Apply Now button. If you are wondering if you’re call-to-action buttons are effective, do the “squint test” — squint your eyes and see which page elements jump out at you. Pizza Hut nails it. 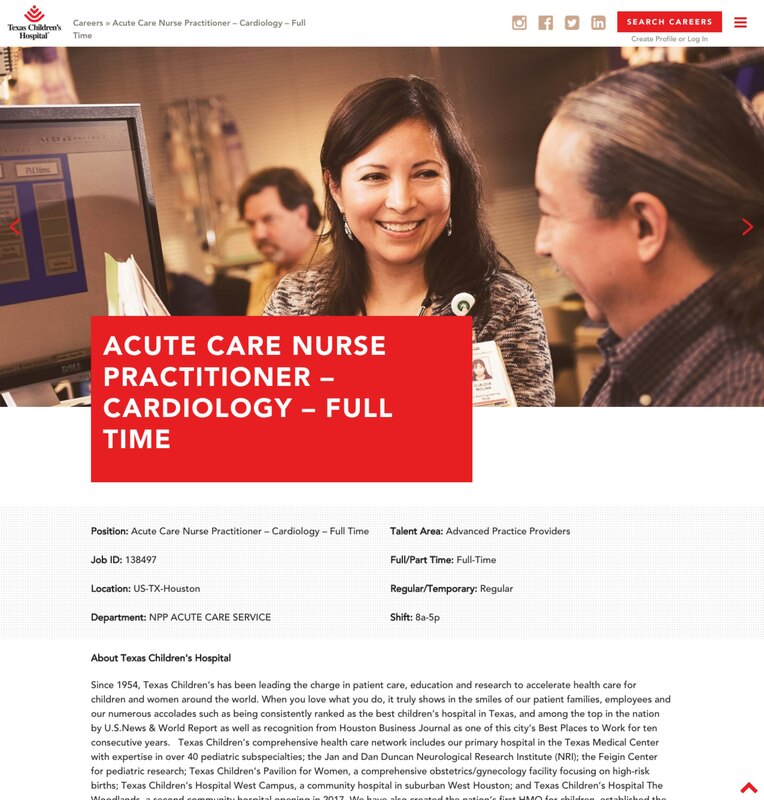 Job Title — The job title looks more like a headline via large type and white text on red background. Hero Media — Smiling people is always effective in advertising. It leverages the mental models of likability and social proof — proven winning techniques in advertising. Color Scheme — They use the brand’s red consistently throughout the JD. Always watch what good marketers do with their job descriptions. 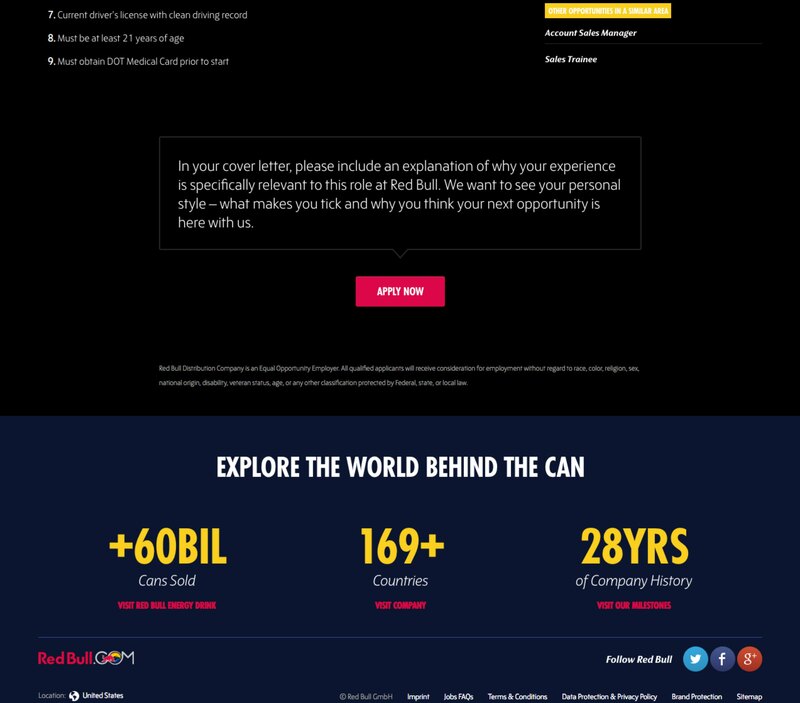 We last wrote about Red Bull in Look What Red Bull Did with their Taleo Job Postings to Make them Awesome — it’s great to see them still innovating! Hero Media — It’s stunning. 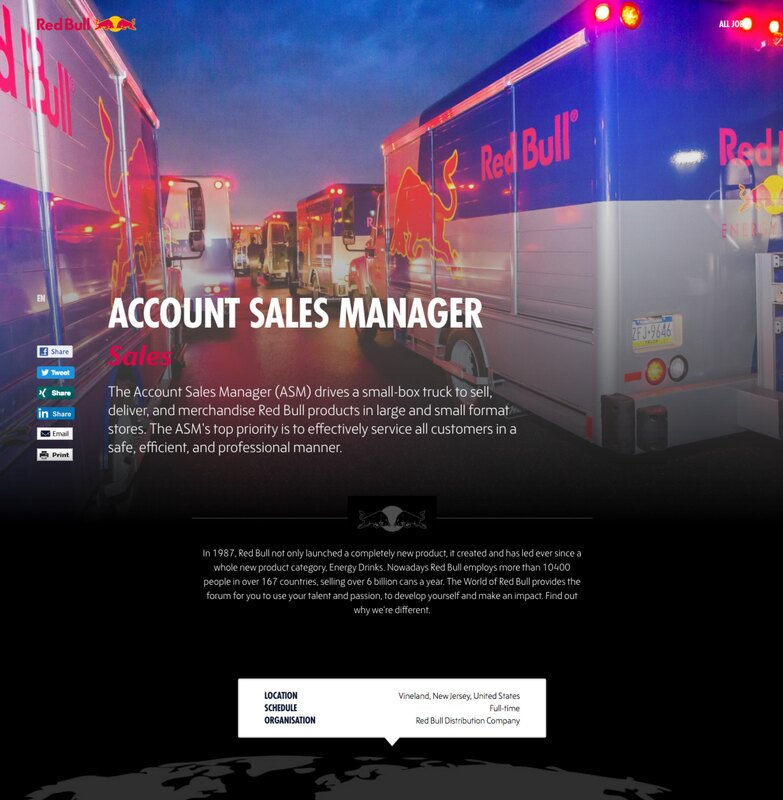 And they leverage all the brand equity put into Red Bull itself which is a cool logo and color scheme. Job Title Headline — They treat the job title like a headline in terms of size and color. Section Headings are Creative — Otherwise dull JD sections like location, experience, skills, etc. are highlighted more like you’d expect in an editorial piece (making ads look like editorial is effective!). Strong Use of “You Statements” — It’s always better to refer to the candidate as “you”(e.g. “Your Experience Includes” below) than it is to write “we”-type statements (e.g. 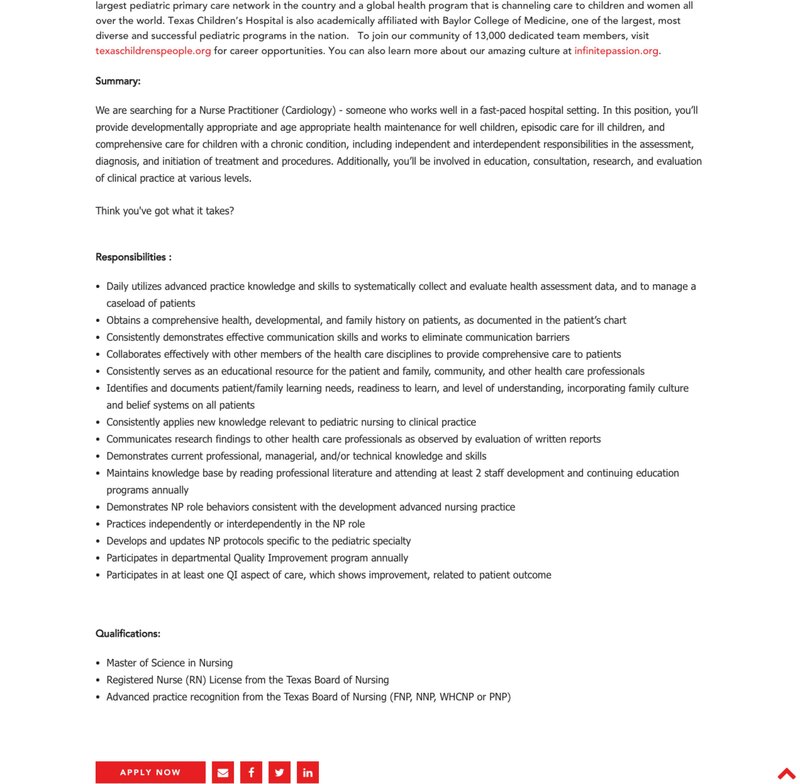 “We are looking for experience in …”). Hero Video — A corporate video is the first thing you notice. They look like they’re having fun, right — that’s a key Snack Nation value. Strong “You Statements” — They use a lot of you-statements (“You” have the unique opportunity, “You” love to code, “You” have a firm grasp of…, etc.). Reporting To — They include who the position reports to. Do you do that? Why not? What’s more important to quality candidates than who their boss/leader will be (yet few do it)? Do you have a favorite job description we missed? Did we miss any great job descriptions? If you know of a job description that you feel is awesome, we’ll be glad to mention it.